​ Pearls are unlike any other jewel. Pearls are the only jewel coming from “living” creation. They are produced by “life”, a life which has reacted to and overcome the working of death. 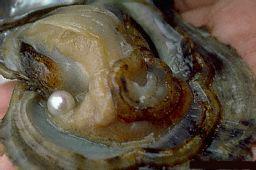 Only when the oyster is wounded does it secretly, in the depths of the sea, produce its pearl. I believe God chose carefully the building materials of Heaven. 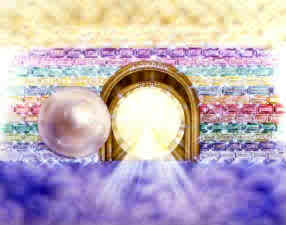 Revelations 21:21 says that the gates of New Jerusalem are twelve pearls. Each gate was made from one giant pearl. Love is the power that strengthens and builds the joints and the body of Christ. Love built upon the wounding of Christ, and the fellowship of His sufferings continues the flow of Love which His body needs to grow and thrive. There is no Pearl without a wounding. There is no Pearl from a comfortable oyster. The church will never know the beauty and power of Christ’s Love​ without pain, trials and hardship. There will be no Pearl necklace adorning a “comfortable” church. Through the wounding of Christ, His Life was released to us His body. Through the miracle of Christ’s resurrection, a glorious church continues to be empowered by His Love.​ We are to be a pearl of great value, adorning the New Jerusalem! This Pearl is so valuable, that we are to sell everything so that we may obtain it. 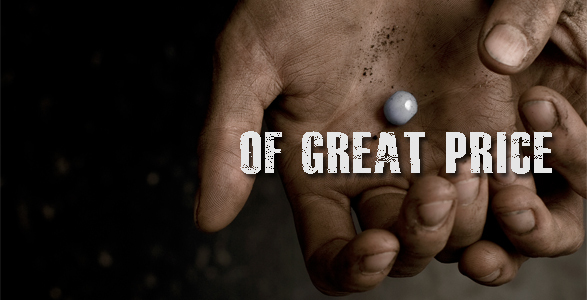 Yet this Pearl cannot come forth without a wounding. As Christ was wounded for our transgressions and now is exalted in Glory, so too we must accept the wounding of the Cross, dying to our flesh, so that we might share in His Glory!